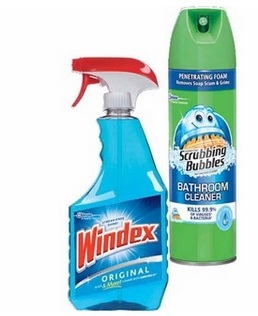 This week Meijer has Scrubbing Bubbles and Windex products on sale for $2.79. There is also a catalina promotion going on where you can earn $3 off your next purchase when you purchase four SC Johnson products. This is the same promotion I mentioned for Walgreens a few weeks ago. However, the promotion is available through several stores and your Checkout51 account should have reset. Plus, Meijer (located in Lima, OH) will accept competitor coupons with your manufacturer coupons, including Target Store Coupons. Get back a $3 off coupon to use on your next purchase at Meijer and earn 50-cents back for purchasing Scrubbing Bubbles at Checkout51 here. Some accounts may also have a Windex reward that you can redeem as well. ← Meijer: *New* mperks for Toys. Plus, printable coupons you can use anywhere!